Buy GREEK: Apokries in Greece! 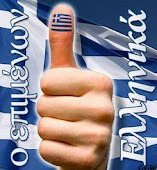 Support Greek products - Support Greek jobs - support Greece! Από σήμερα υποστηρίζουμε τις Ελληνικές επιχειρήσεις - τα Ελληνικά προϊόντα - την Ελλάδα! Share the page - Share the passion - Share the thought! Thanks to Sofia Georgaki for another great cover photo! Last Apokries this weekend in Greece and Cyprus and around our Global Greek World! and it will support the Greek economy! Don't forget the Carnival in Patras and in many places all around Greece. 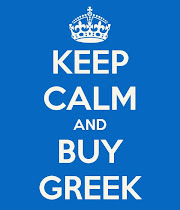 Whatever you do, don't forget to Buy Greek! Make Buy GREEK a way of life! Make it part of YOUR life! 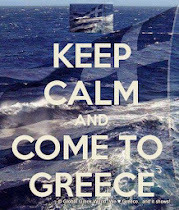 Keep Calm and Come to GREECE! GREECE'S NO 1 PRODUCT - THE BEAUTY THAT IS GREECE!